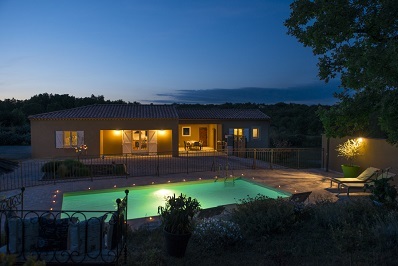 Recently built (2013) south of France villa located in the heart of the Verdon regional natural Park. 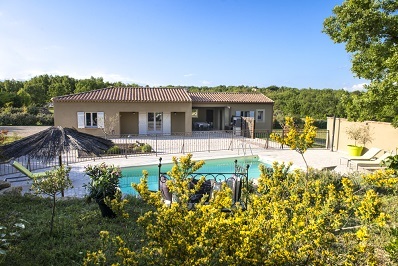 Set in a hamlet made up of 10 properties, the villa has 3300m2 of private grounds and natural outstanding views over the rolling countryside. The grounds are enclosed with natural hedges. 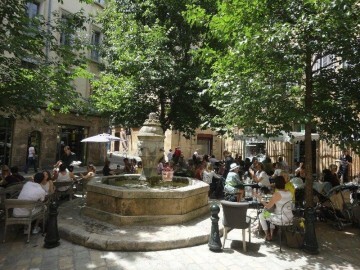 There is a covered terrace, great for dining al fresco while looking out onto the swimming pool. 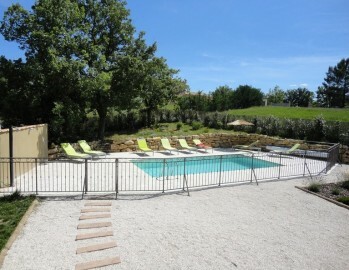 The pool area is a real suntrap and there are two oak trees that give shelter when it becomes too hot! 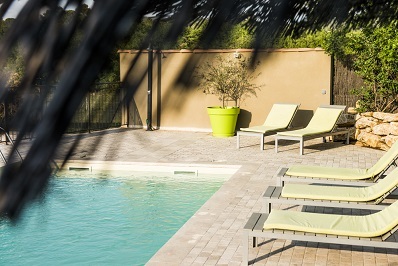 Why not enjoy a lazy afternoon in the hammock or under the straw parasol...After all you are in the heart of Provence where time seems to somehow have a different relaxed pace. 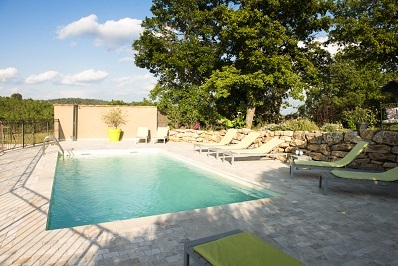 The focal point of this French holiday house is the fenced swimming pool, very pretty stone pavement and use of natural stones around it. 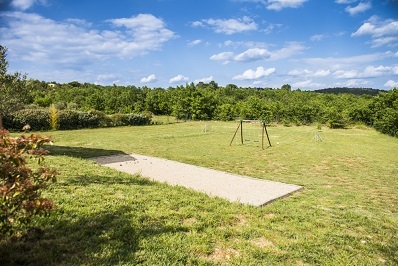 Within the grounds you will also find swings, a boules pitch, football posts with lots of space to play and of course a barbecue! 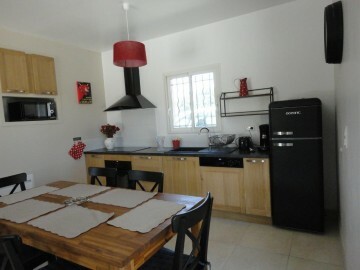 The bedroom breakdown at this villa is excellent: two double bedrooms and two twin bedrooms. 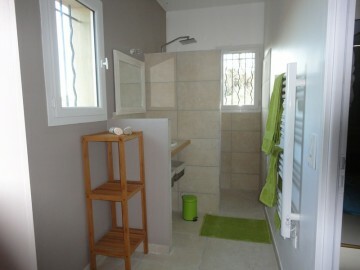 This is ideal for privacy as there are two sleeping areas on either side of the villa, each with two bedrooms. 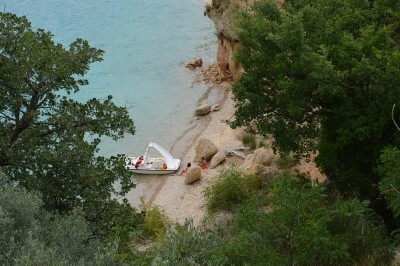 This is an ideal holiday property for a large family or a group of friends. 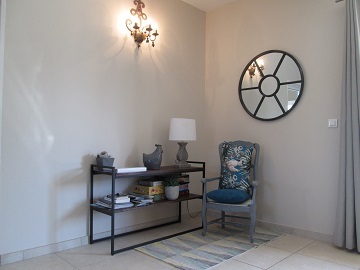 If you are planning on accommodating up to 12 people than why not rent Villa Olive our reference SV144 which is located 50m away from Villa Souchene and accessible through a gate within the grounds. 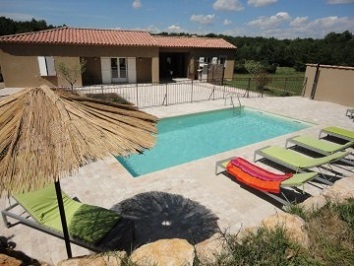 This villa can sleep 4 people and also has its own private pool. Click here to view details. Please note: Prices are based on maximum of 4 people sharing (excluding 29/6-23/8/19 when prices are for up to 8 sharing). Please enquire for prices for more than 4 sharing. Living area Living/dining room with flat screen TV with USB port, two-seater and three-seater sofas. 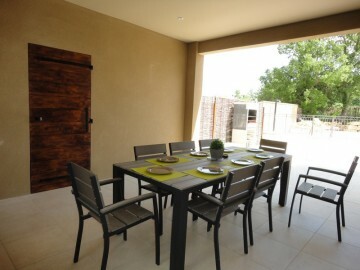 Sliding door leading to covered terrace with dining table and 8 chairs ideal for eating out whilst being sheltered from the sun. 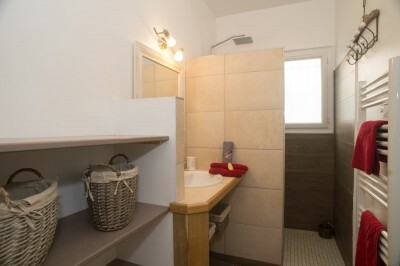 Cellar with washing machine, extra fridge and a freezer. Bedroom(s) On the right hand side of the villa there is a double bedroom (140 x 190cm) with TV and a twin bedroom (90 x 190cm). 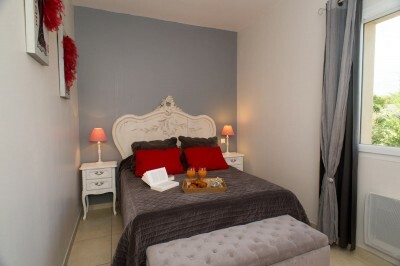 On the left hand side of the villa there is a double bedroom (140 x 190cm) and a twin bedroom (90 x 190cm). 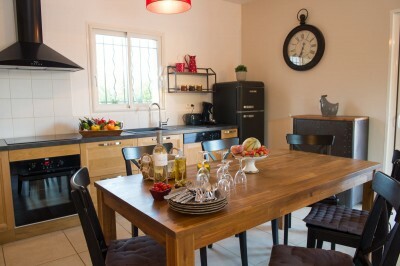 In the middle section of the villa you will find the living room, kitchen and covered terrace. 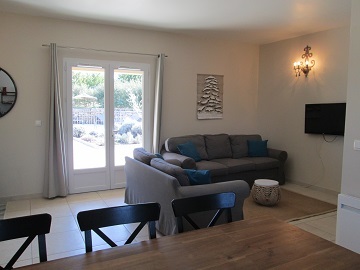 This set up makes it ideal for two families or two group of friends wanting to holiday together whilst having their independence. 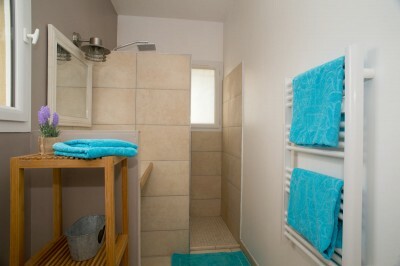 Bathroom(s) Two shower rooms with walk-in shower and heated towel rails, one on each side of the property, one with a wc. Separate wc. Exterior Enclosed garden with hedge around the grounds (3300m2). 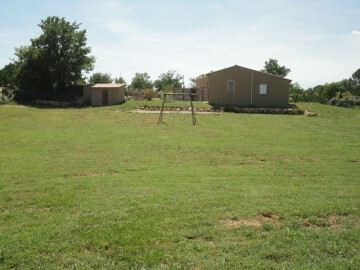 This is the perfect area for playing football and will delight children. 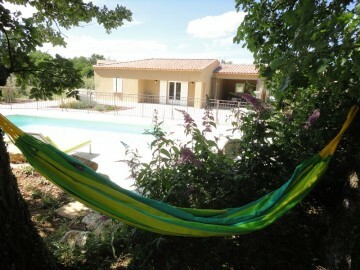 Two oak trees by the pool give welcome shelter when it gets too hot! 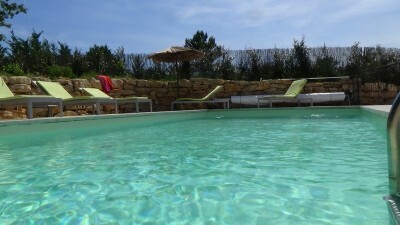 Outdoor furniture, sunloungers, fixed iron and straw parasol, hammock and outdoor shower by the pool. 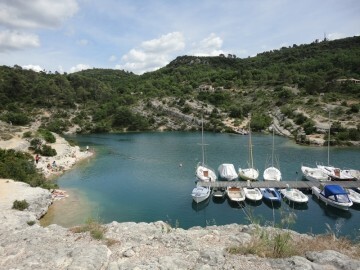 Several parking spaces by the villa. Pool Pool size: 8 x 4m. Depth: 1.5m throughout. Security system: Fence. Ladder. Thermal cover. Salt treatment ideal for skin and eyes. End of stay cleaning 100€ (cash). It is imperative to book the cleaning option at the time of booking. 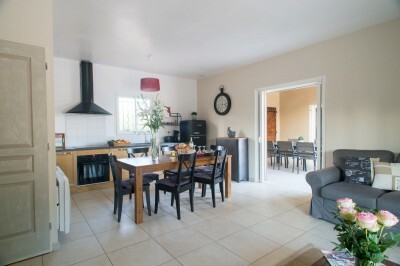 If this is not booked the villa must be left as found on arrival inside and outside (bins emptied, fridge empty, barbecue plancha cleaned, floors, wc’s and kitchen floor cleaned). Other information Cot, highchair and baby bath available. Please request at time of booking. 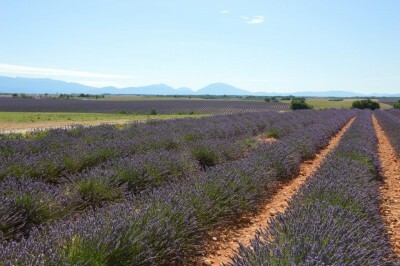 Nearest airport(s) Marseille airport: 1h10min (90km). 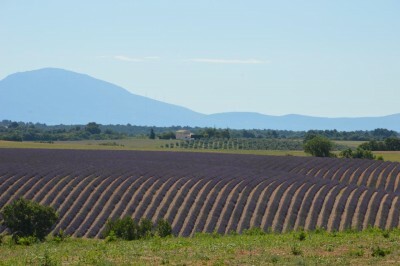 Nice airport: 2 hours (140km). Other facilities & attractions Wifi access. 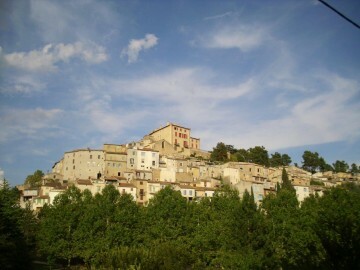 Provencal markets: Vinon sur Verdon (25min).